Everyone in the Phase 3 Matrix works to fill the 8 row with Members who have purchased the Phase 3 Product. When the 8 row is complete, the Leader Position cycles and earns commissions of $1,420.00, along with a re-entry into Phase 3 following their sponsor, and a paid entry into the Phase 4 matrix following their sponsor, plus the Phase 4 Products. If you have already Purchased the Phase 4 Products before reaching the Phase 3 Leader Position, you will earn commissions according to the Phase 3 – All Other Cycles commission schedule. 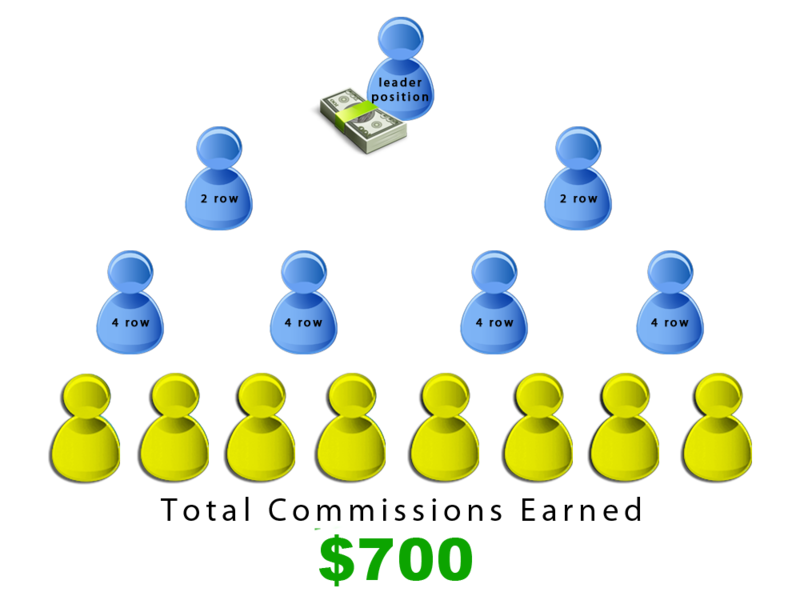 The Leader Position will earn $3,220.00 in commissions when the 8 row is complete. The 8 row fills each time a product sale is made and a New Member enters the Pay Line or an existing team member has re-entered your Phase 3 Matrix. When the 8 row is complete, the Leader Position cycles and earns a re-entry into Phase 3 following the person who referred them to Phase 4 Global!